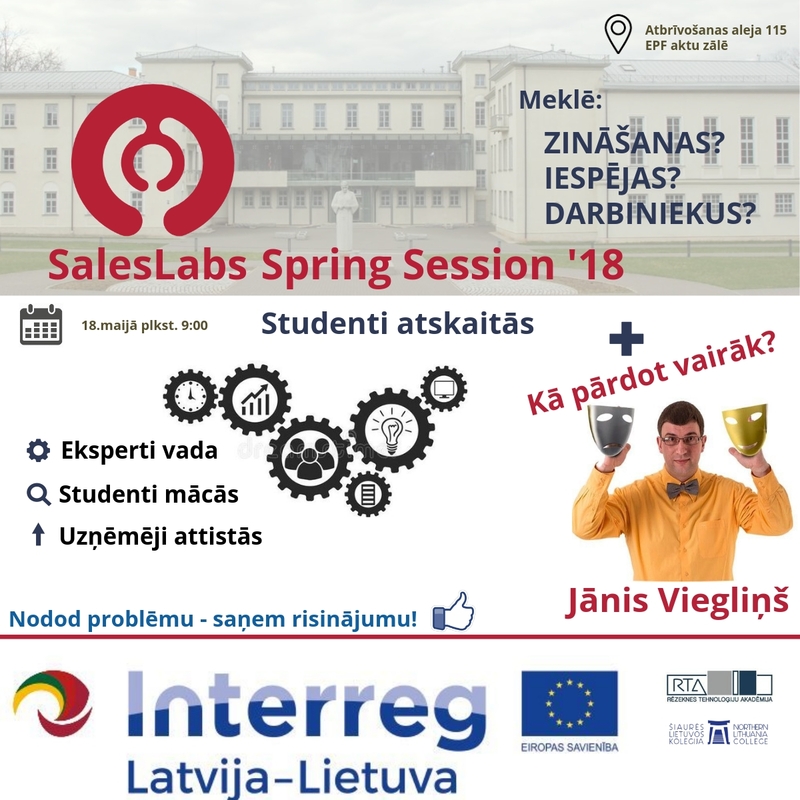 Final workshop of first project SalesLabs teaching semester will take part at Rezekne academy of Technologies. In time of this workshop it is necessary to find, see and touch results of problem solving process. Higher education teachers and students from RTA and NLC will collaborate working together on final solutions, decisions and results on real life business problems for SalesLabs companies. The main aim of workshop is that it will allow combining different student and teacher competencies for solving business problems, to explore and raise awareness of the business environment and employment opportunities in Šiauliai and Rezekne regions.